We are growing and we're looking for talented people who can help us make our software products better. At Tap2Pay we create the platform for accepting payments on all digital channels: website, messengers and social networks. Our mission – make life easier for companies and for people who work there. Optimize and increase their revenue. Our passion – Fintech, Big data analytics, Monitoring, Notifications. We even receive recognition from such fintech leaders as Visa, OP Bank. 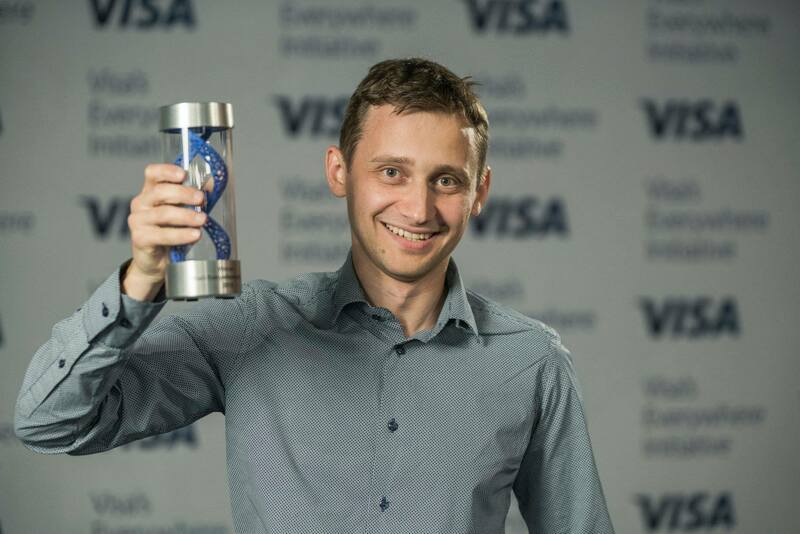 Visa recognized our product Tap2Pay as the best payment solution for e-commerce. We have offices in the US (Delaware), Belarus (Minsk) and Estonia (Tallinn). We also have employees working remotely in cities across the globe. The mission for sales manager at Tap2pay is to reach potential customers, spread Tap2Pay platform for business owners and their teams. Share user feedback with the product team. Listening skills. Lets others speak and seek to understand their viewpoints. Honesty/integrity. Does not cut corners ethically. Earns trust and maintains confidences. Does what is right, not just what is politically expedient. Speaks plainly and truthfully. Organization and planning. Plans, organizes, schedules, and budgets in an efficient, productive manner. Focuses on key priorities. Intelligence. Learns quickly. Demonstrates the ability to quickly and proficiently understand and absorb new information. Analytical skills. Able to structure and process qualitative or quantitative data and draw insightful conclusions from it. Exhibits a probing mind and achieves penetrating insights. Attention to details. Does not let important details slip through the cracks or derail a project. Enthusiasm. Exhibits passion and excitement over work. Has a can-do attitude. Communication. Speaks and writes clearly and articulately without being overly verbose or talkative. Maintains this standard in all forms of written communication, including e-mail. Teamwork. Reaches out to peers and cooperates with supervisors to establish an overall collaborative working relationship. Sounds interesting? Send an email to anna@tap2pay.me, include a quick intro about yourself, and we’ll take it from there. Some of the products that built on Ruby operating with about 2M monthly unique audience. Mostly in Fintech area and Big data analytics. It’s a great opportunity for you to improve your skills and grow together with our team. You should know how to setup a new web-server, mysql, nginx, sphinx, git, redis, memcache, docker, Amazon AWS, kubernetes. Be a responsible and honest person. You will be a part of our team. We have a pretty nice office in a heart of Minsk, flexible working time. If you are a student – no problem. We could discuss appropriate terms. Most of us worked from the second course of Universities. We looking for a team member that will be responsible for any PHP-related topics and products. Some of the products that built on PHP operating with about 2M monthly unique audience. It’s a great opportunity for you to improve your skills and grow together with our team. You should know how to setup a new web-server, mysql, nginx, sphinx, git, redis, memcache, HTTP Linux/MacOs. Be a responsible and honest person. You will be a part of our team. We have a pretty nice office in a heart of Minsk, flexible working time. We are looking for a specialist who can promote new and existing sales opportunities.